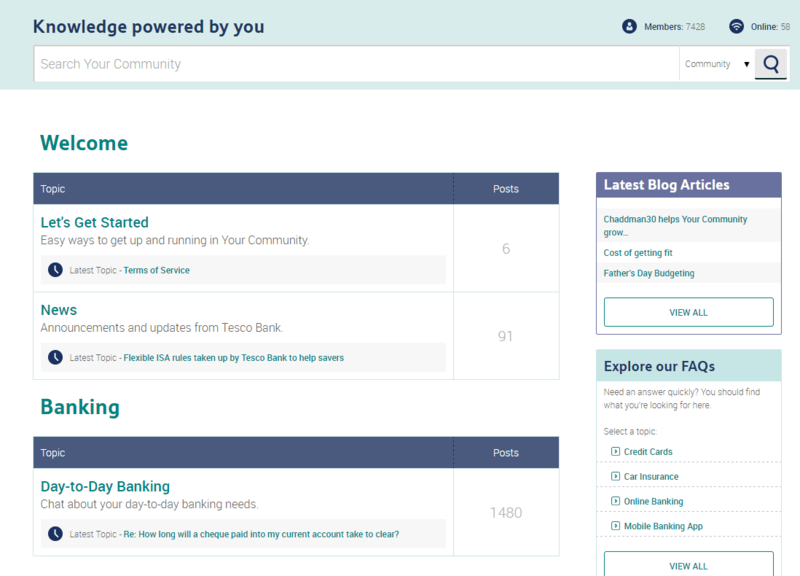 It’s been done with little fanfare, but Tesco Bank’s ‘Total Community Platform’, Your Community, was actually launched in the middle of last year, as we noted in our Internet Banking Dashboard in September 2015. It’s now reaching more than 7000 people. With the aim of increasing transparency and boosting consumer confidence, the ‘social’ platform is essentially a chatroom, where users can post questions and answer questions from other people. Tesco employees can and do respond as frequently as possible, and there is also a private messaging function for more sensitive queries. Anyone can contribute; registering gives you greater access and lets you ‘personalize your community experience’. 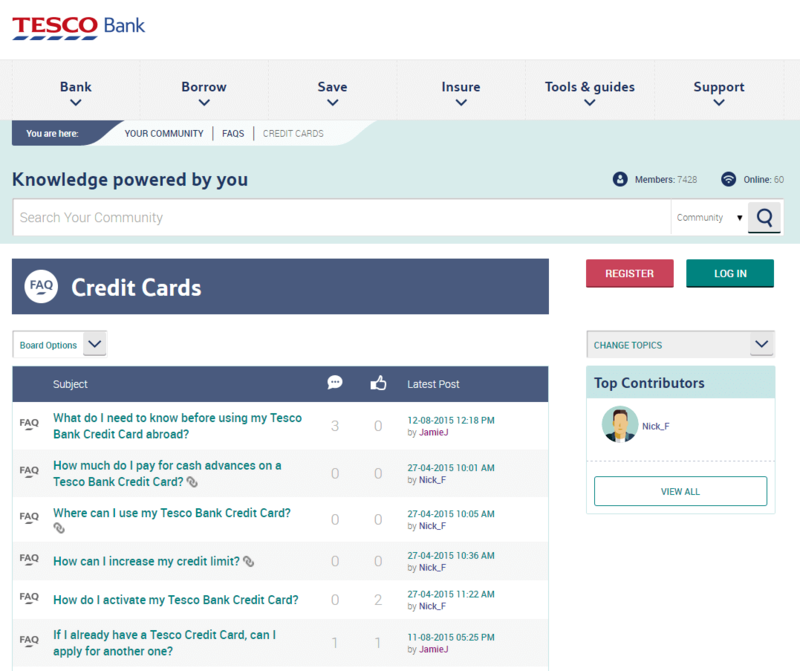 There is also a blog and FAQs section, all in addition to the help and guidance offered in other parts of the Tesco Bank website. The online forum approach to customer support brings many benefits to brands, such as the potential to reduce costs, increased customer retention and engagement with the brand, and as a marketing channel for new products and services. For financial services in particular, it represents a more friendly approach, although it does mean overcoming the challenge of how best to ‘advise’ people on financial products through more informal channels. A huge benefit, for Tesco and other brands with online communities, is feedback on product development. 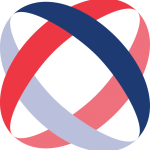 By monitoring the most popular topics in the Community, Tesco Bank has been able to see what customers really want – meaning, for example, that it moved the launch of Apple Pay up its priority list. For access to our Mapa Dashboards, monitoring the latest innovations in digital banking, or to purchase our latest Insight Series Report, Customer Servicing on Digital Channels, please get in touch.